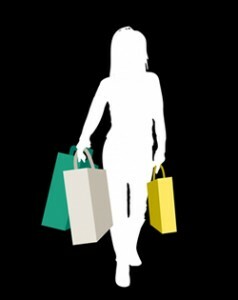 Many people would love to be able to get paid for shadow shopping. I imagine you’ve at least seen advertisements claiming they’ll tell you how, for just a small payment of a less than reasonable sum of money. I’d advise you against trusting those advertisements. There’s no need to shell out your hard earned cash for a little information you can get for free right here. With the information given below you can get started in this fun and exciting field where you can literally get paid to shop. It won’t be long before you have more assignments than you can easily remember. That’s why it’s important to have a way to stay organized from the very beginning. This early preparation will help you maintain control, perform better, and know when you can and when you can’t afford to take on additional assignments. Set up a system that works best for you. Whether it’s a simple notepad, a mobile device, or even a computer, as long as it’s simple and works well for you, it’ll be perfect. Remember when you’re setting up your system to include a place to record the company’s name, the task, when it’s due and your fee and pay date. A secret shopper is a type of independent contractor. In the case of being an employee, your employer would be the one responsible for withholding taxes, social security, and Medicare costs. As an independent contractor these responsibilities fall to you and you alone. Obviously, some form of transportation will be necessary in order to reach each task. A computer with an internet connection, preferably a fast one, is also going to be important. Still as an independent contractor you’re responsible for your own costs, including what you pay for internet, so while it’s helpful, you really only need what you can afford. Lastly your attire may become important. While many of the assignments you’ll receive will fall into the “casual” category, some may be at upscale restaurants or stores and you’ll want to avoid standing out. A quick search on your favorite search engine for Mystery Shopping Companies will yield many potential options. Or, you can take advantage of my free list of about 100 legit mystery shopping companies. With most of these organizations, such as Shadow Shopper, you’ll be able to apply to online. You’ll want to begin with just a few, and increase this number as you grow more accustomed to the process. A legitimate organization will not charge you anything to apply. Avoid these scam sites at all costs. You’ll want to have a list of the zip codes you’re willing to shop in as well as a one to two paragraph sample of your writing on a recent shopping experience you’ve had. Most companies will ask for this information on the application and you can simply copy & paste from your profile straight to the application. It’s important to make sure your writing sample is grammatically correct and properly spelled as this is the metric they’ll use to determine if you’re capable of writing proficiently. Likely this will take the form of a simple spreadsheet with four columns. These should be for the companies name, your username, your password, and a place for any extra information about additional requirements. When that first assignment arrives you’ll want to enter it into your system and go ahead and print out the instructions for the assignment as well as the form you’ll have to complete regarding your experience. Though you’ll actually be completing your report online, you’ll want to have the questions they’ll ask on hand so that you don’t miss any vital information while you’re shopping. You may at some point receive a cashier’s check that claims to be related to an assignment in your mail box. If you do, it’s important that you don’t deposit this check nor wire the funds as this is likely part of a scam. These checks are fakes and will leave you liable to the bank for the sum of the check. You can read more about it on FTC’s site. Mystery shopping is a great way to earn extra money while having some fun and helping to shape the future of important elements in business such as customer support. But like any other money making opportunity, it takes some work and willingness to become a good secret shopper. Hopefully, this guide will help you get there.